Epic Games is working on matchmaking technology which will pair those who play Fortnite with a keyboard and mouse on console with PC players. 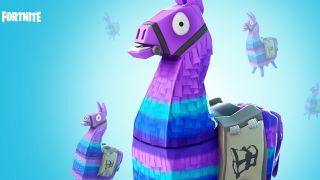 In response to a reddit thread, which claims those using keyboard and mouse for Fortnite on console have an “unfair advantage”, Epic Games’ community manager revealed that the developer is working on tackling the issue. Currently, Fortnite console players can play cross-platform with those on PC. However, because using a keyboard and mouse makes aim more accurate, console players often opt to play against those on the same platform rather than PC players. However, console players aren’t restricted to using a controller (in the same way PC players aren’t restricted to using a keyboard and mouse): it’s possible to connect a keyboard and mouse to a console, to provide you with better accuracy. The problem with this (as the redditor pointed out), is that it leaves those using controllers at a disadvantage. It seems Epic Games is now working on a solution to this problem, developing technology that will predetermine whether a player is using a keyboard and mouse, or a controller, and matchmake them with someone using the same input device. Unfortunately, Epic Games didn’t give any further details on how this technology will work, or when we can expect to see it implemented. But, according to the community manager, we’ll hear more about it next week.